Qatar Airways has released its annual report for the fiscal year 2017, revealing a 21.7 per cent year-on-year net profit increase. 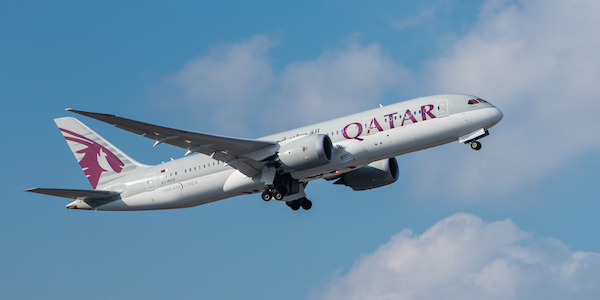 Qatar Airways chief executive Akbar Al Baker, said: “Our annual results once again reflect the success of our expansion and growth strategy that has seen the Qatar Airways Group grow from a small regional airline into an aviation powerhouse over the last two decades. The positive news comes at a difficult time for the carrier, which last week suspended all flights to the Kingdom of Saudi Arabia, UAE, Kingdom of Bahrain and Egypt. The move comes as political tension increases in the Middle East, with the states taking steps to sever diplomatic ties with Qatar, while also closing transport connectivity by road, sea and air. During the fiscal year 2017, Qatar Airways has made significant investments and partnerships, launched ten new destinations, and expanded its modern fleet to 196 aircraft. In July 2016, the airline announced an increase in its stake in International Airlines Group from 15.24 per cent to 20.01 per cent, strengthening its position as a shareholder in one of world’s biggest airline groups. A further strategic investment was made by the airline in December 2016, when it acquired ten per cent of LATAM Airline Group’s total shares. Other key partnerships secured throughout the same period include a joint business agreement with IAG subsidiary, British Airways, with revenue sharing on the London Heathrow-Doha route, as well as new codeshare partnerships with airlines such as Finnair, Iberia, Sri Lankan, Vueling and Air Botswana.